Did you know most utility companies operate on a tier system? The first preset amount of electricity you use is charged at a starting rate, the second tier an even higher rate, and the third tier an astronomical rate that could make any bill payer cringe. Shocking utility bills are never fun, especially if it’s over mundane details like keeping the lights on. To avoid this, consider the following tips and things to do around your home in order to save. Unplug cords if you’re not using them. These days, it seems everything we use needs plugged in. Anytime a charger is plugged into the wall it pulls electricity whether it is charging or not. 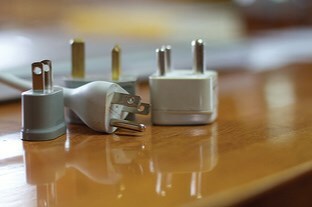 Unplugging chargers and appliances when they are not in use can quickly add up to savings on your electricity bill. However, remembering to individually unplug all chargers and appliances when they’re not in use is not exactly practical. Try plugging chargers and lamps in to power strips with switches. This way, one switch can shut off multiple power sucking cords at once. Embrace a warmer climate in sunny Tampa Bay. As you settle in to your new apartment do some experimenting with your new AC unit. What does 75 degrees feel like in your new home? It should feel like an empty wallet. Try turning the air to 78 degrees and running ceiling fans for an extra breeze. 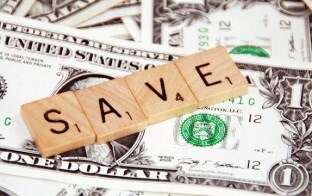 In hot and sunny Fla, keeping your AC too cool can add up fast! If you are leaving home for the day, turn the AC up to 80 degrees so the air does not have to work as hard while you are out. 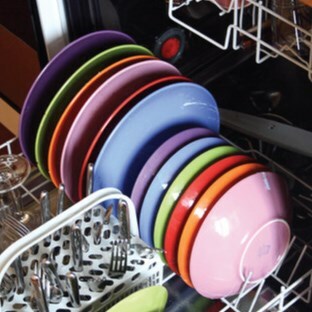 Properly load your dishwasher to maximum capacity. The racks inside this appliance are made so that cups can be lined along the edges of the top shelf, bowls can be angled to fit inside of one another between separators, and a feast worth of plates can be lined up on the bottom rack. Large plastic storage containers and pans take up a lot of space, so hand wash them whenever the opportunity arises. Every load uses hot water and electricity, so running this appliance half full will rack up utilities fast and leave your wallet half empty. Watch for any abnormalities in your utility bills. Each month, take an extra 60 seconds to look over your utility bill and compare it to the previous month. How did your water and electricity change? If you see a sudden spike in electricity, compare this month’s bill to the same month of the previous year by making a quick call to the utility company or looking for a comparison graph on your bill. If it still seems substantially high, you may want to complete an energy audit. This audit is offered by your utility company and can be completed via online survey, phone, or a personal visit from an energy expert. 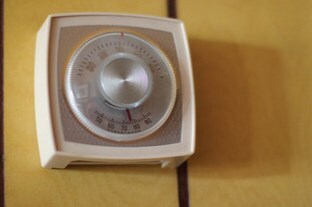 The audit will provide recommendations on thermostat settings and practices for an efficient home.